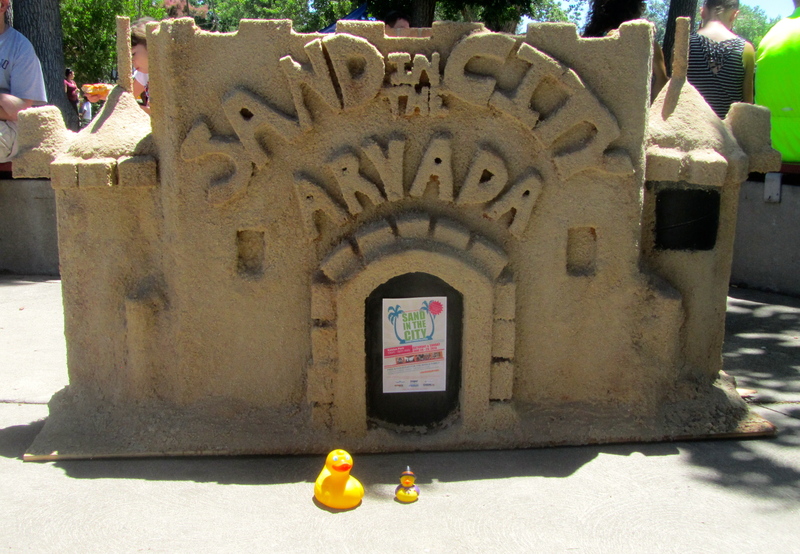 Zeb the Duck here to tell you about sand sculptures in Colorado. There is no ocean in Colorado! 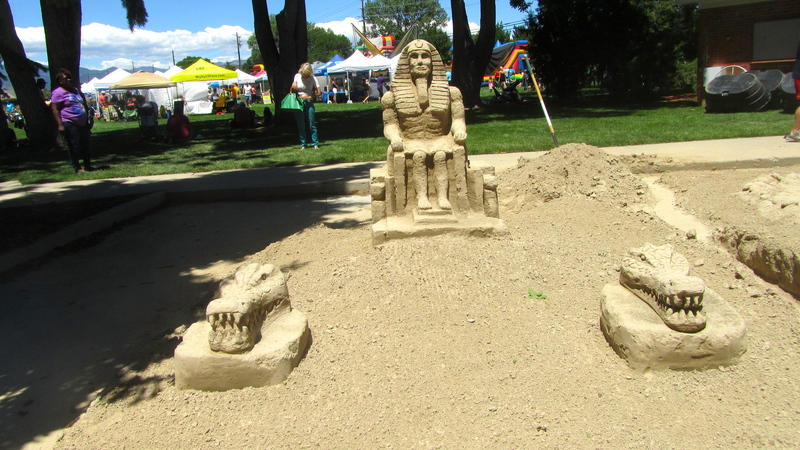 Mom took Caped Crusader and me to Arvada, Colorado’s Sand in the City Festival. What a surprise for us! 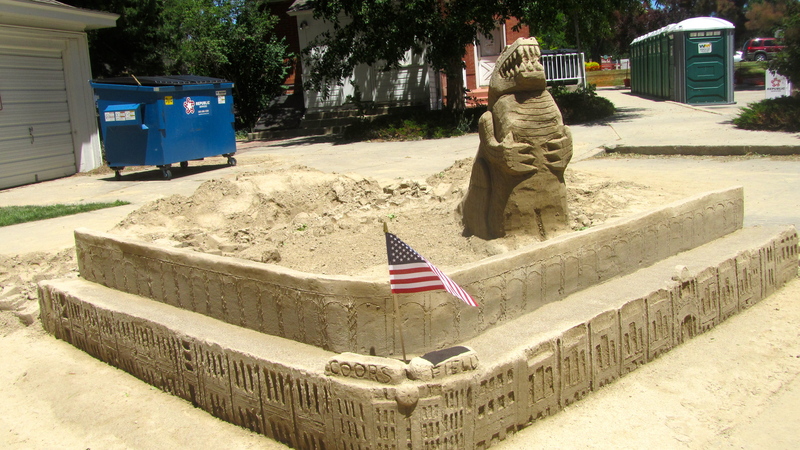 Various companies and organizations made sand sculptures. Magnificient! There was a rope to keep people from touching the sand, but the young lady that helped make this one, took us to sit on the top. We loved it and she was a wonderful person. Thank you young lady!! We were a little nervous about this one mom! He is watching us Mom. Help! Water World, a great water park near Denver, sponsored it. Hard to remember that these are made from sand and water. 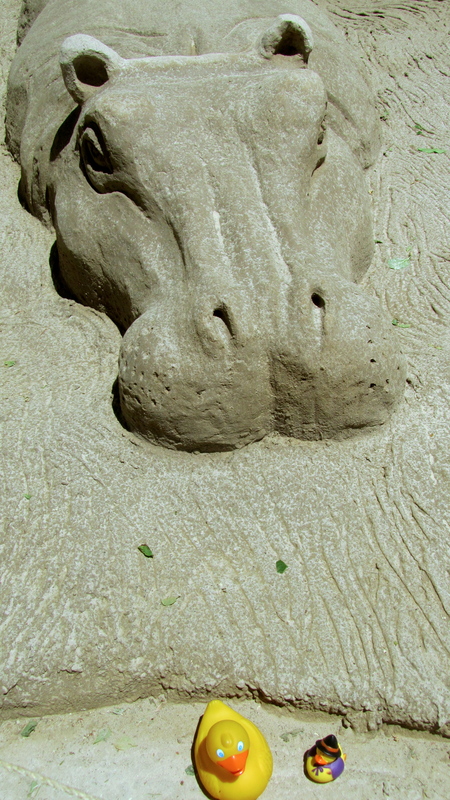 When the little humans had seen the sand sculptures, they could play here with their shovels and pails. 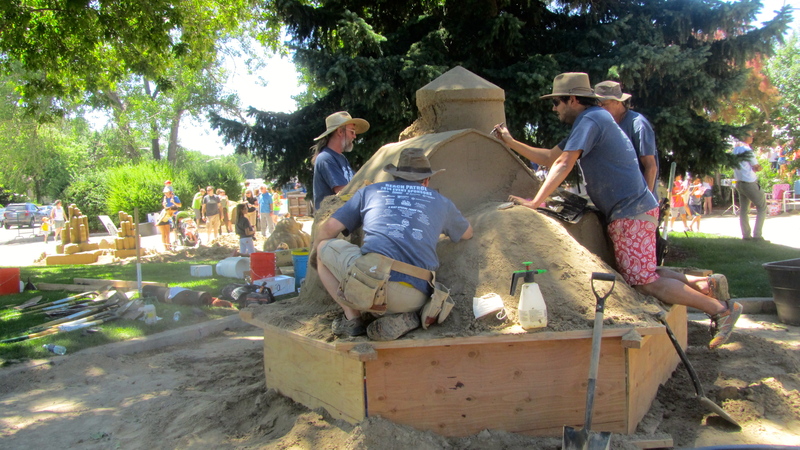 This is a huge sand box. Almost like the beach. with music and stuff for small humans. 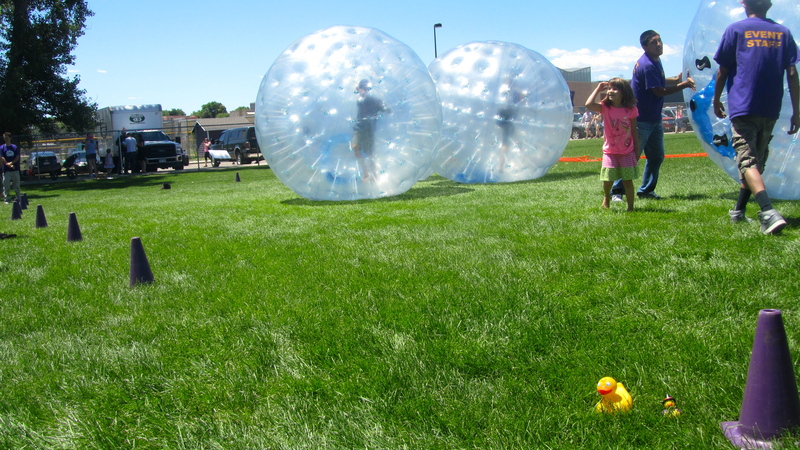 These balls look fun. Humans get inside and walk, run or whatever they want to try. There are bigger humans to help. 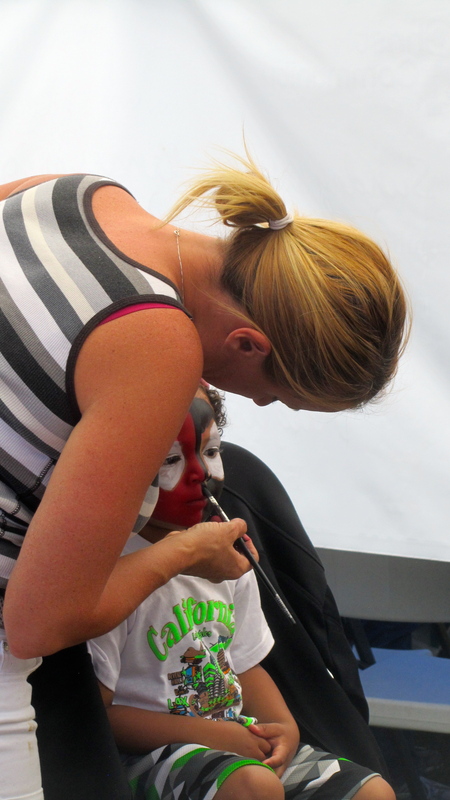 Face painting is always fun. 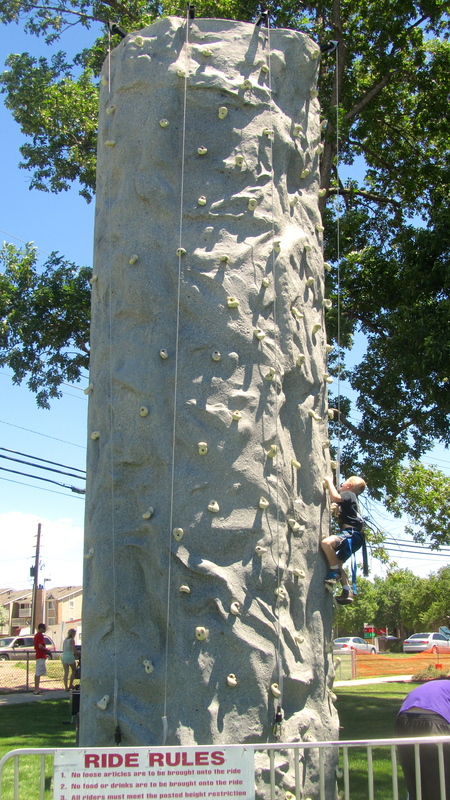 This little boy is ready for the climbing wall. I think he has done climbing before. Caped Crusader and I watched the magic show. This was our first magician. 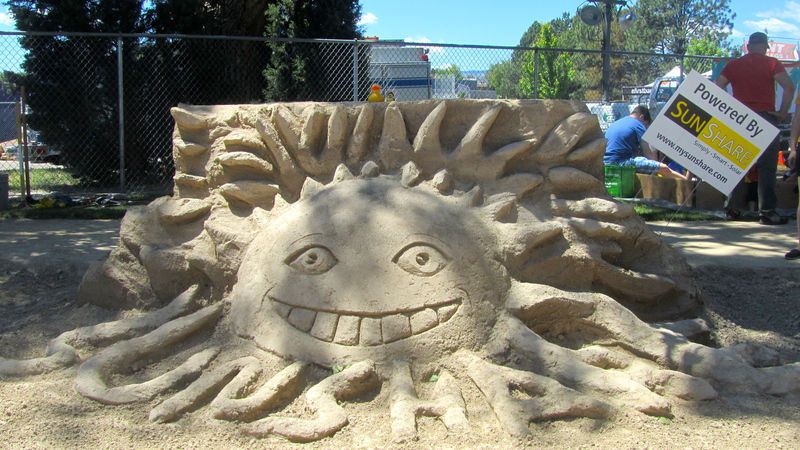 We liked him and we really liked this Sand in the City Festival. We hope you are visiting festivals this summer. They are so much fun. First, let’s talk about the Eisenhower and Johnson tunnels. 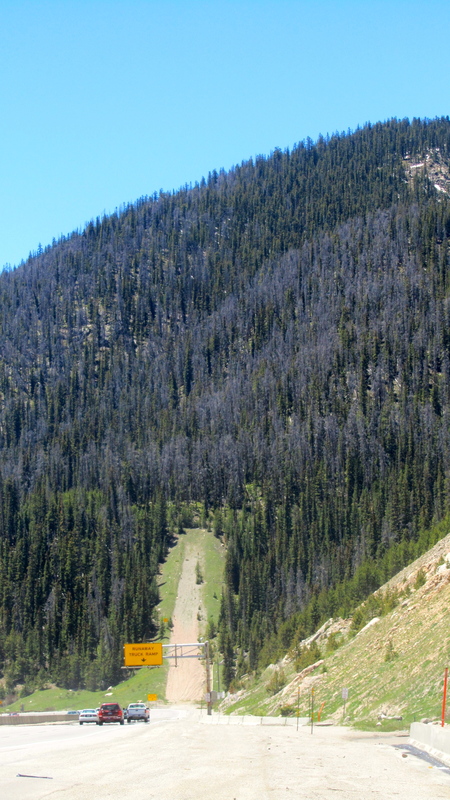 These two tunnels are 11,158 feet above sea level and go under US 6 and the Continental Divide. The tunnels are 1.69 miles long. They are the highest and longest mountain tunnels in the US interstate system. These tunnels are well lit, ventilated and video monitored at all times. This is the westbound entrance. Still lots of high mountains on top of the tunnels. with the Colorado River and Union Pacific Railroad. This was the last section of I-70 to be completed. 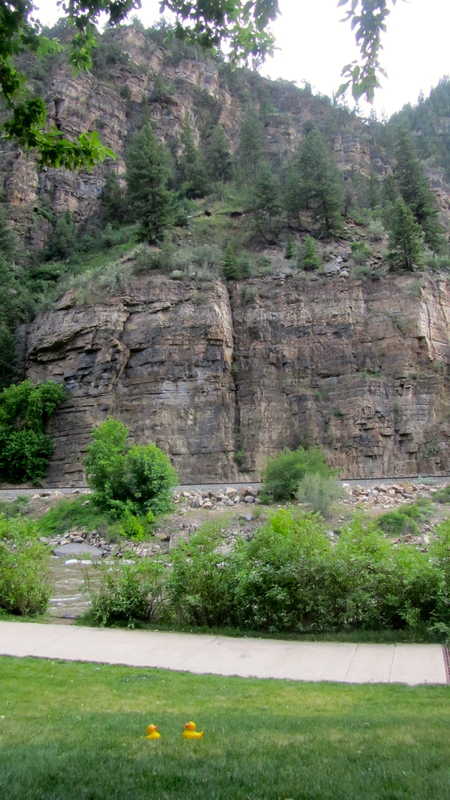 The 2 eastbound lanes of I-70 extend cantilevered over the Colorado River. The westbound lanes are suspended on a viaduct several feet above the canyon floor. 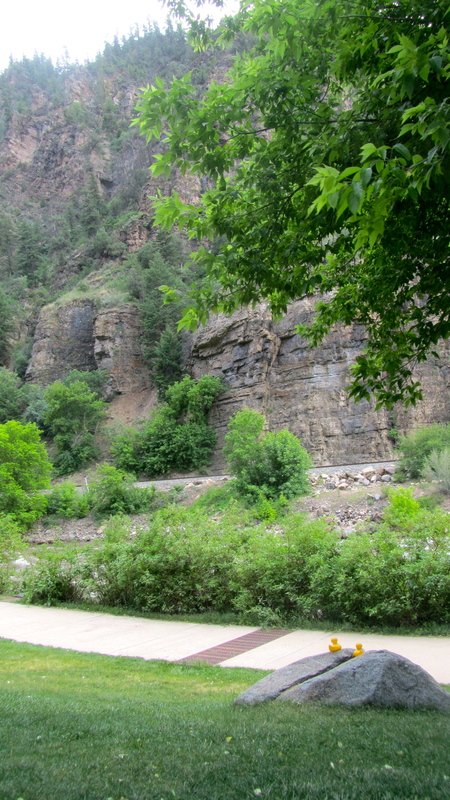 This allowed a 4 lane interstate highway to be constructed through the canyon with minimal changes to the beautiful Glenwood Canyon. The rest areas in these 12 miles are beautiful. 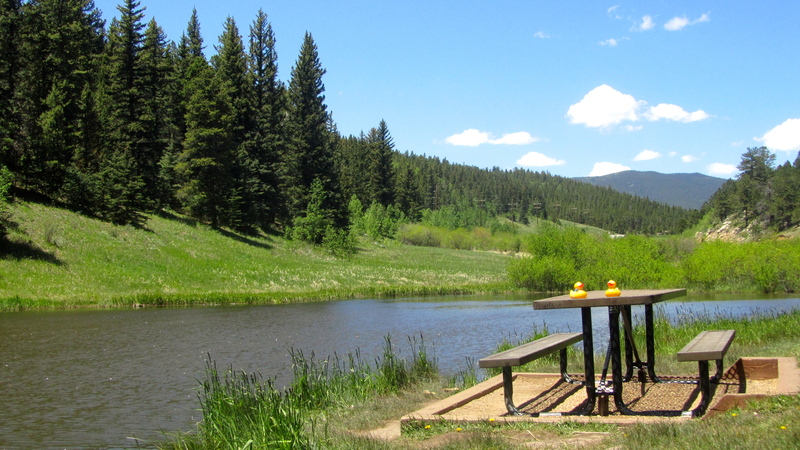 The are located on the banks of the Colorado River, with picnic tables and hiking trails. There is no stopping on the highway, so photos just didn’t happen. Video cameras and real people constantly monitor this section of I-70. Colorado, like every mountain state has provisions for runaway trucks. These are trucks with failed brakes. This is a runaway truck ramp. The truck drives up this mountain to reduce speed. The middle of the ramp is deep, loose gravel and there are barrels at the end of the runaway ramp. Often trucks will be on these ramps. 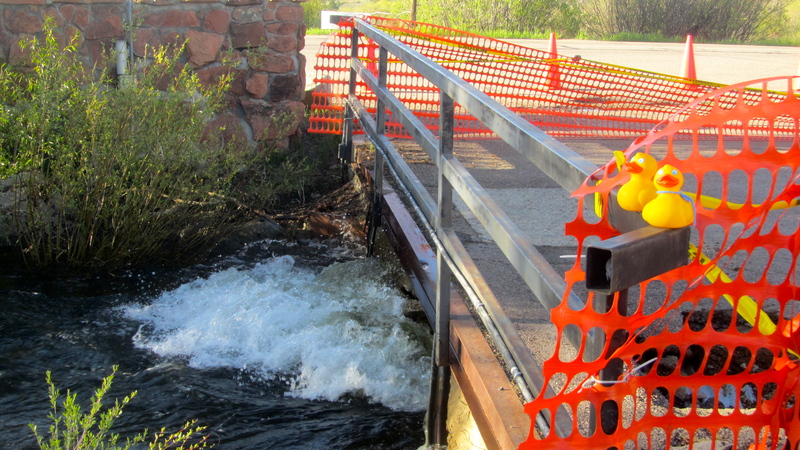 These ramps save lives in Colorado and elsewhere. 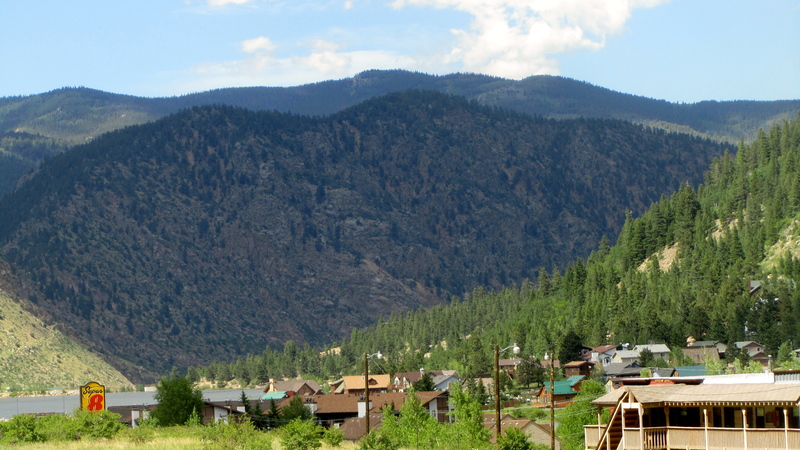 mountains, and even the ski slopes of Vail, Copper Mountain and Beaver Creek. If you are driving through in your car or truck, passing through in your motorhome or cruising on your motorcycle, you will see some beautiful scenery. 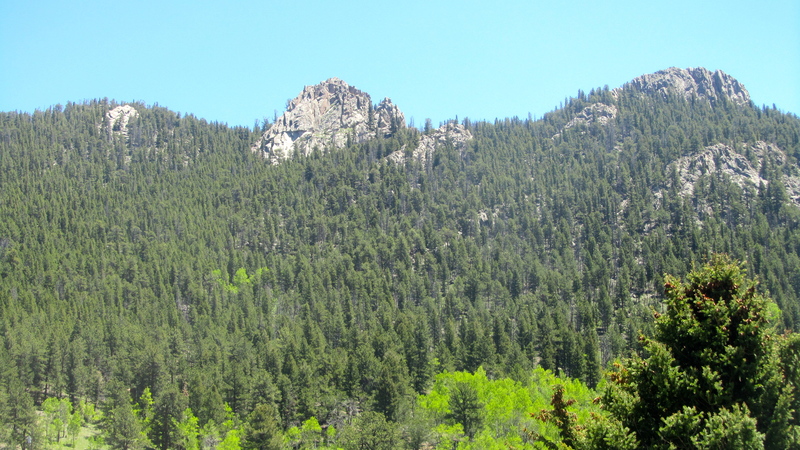 Our mountains are beautiful, the rivers are clear and refreshing and if you are east of Denver, the prairie and ranch land is also beautiful. There is a lot of wildlife in Colorado, so deer, elk and moose will see you and you may see them also. If you have time, stop to hike, fish, zip line, kayak or raft. 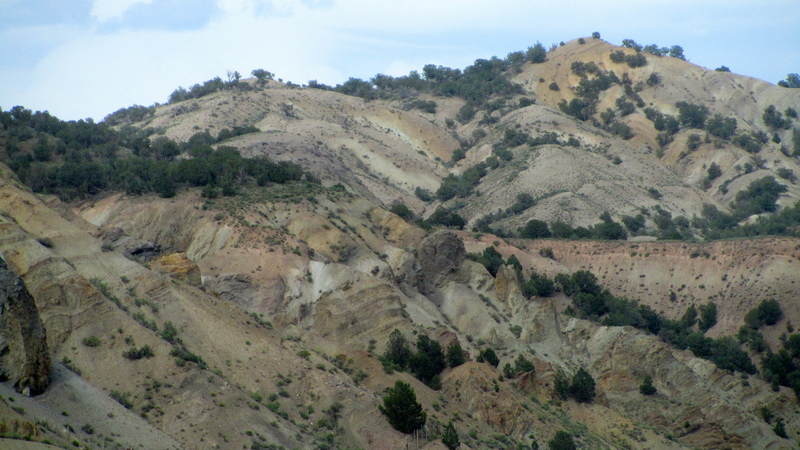 We have so much to offer you, but if you cannot stop, you will still enjoy your scenic drive across Colorado. 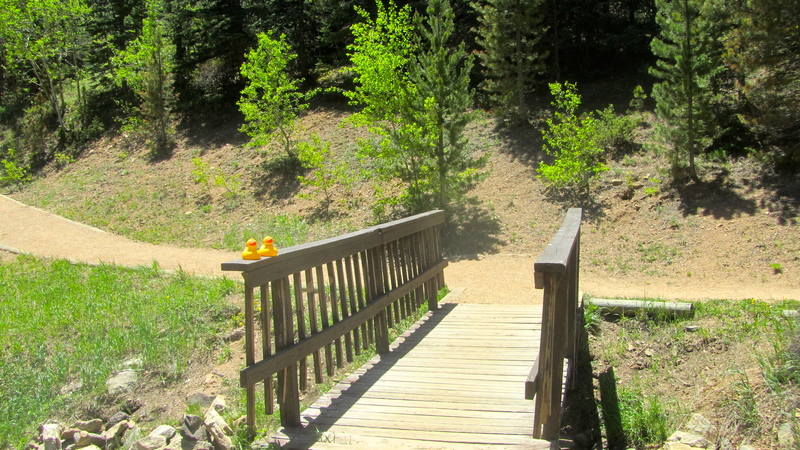 Zeb the Duck here with Soapy Smith Duck. 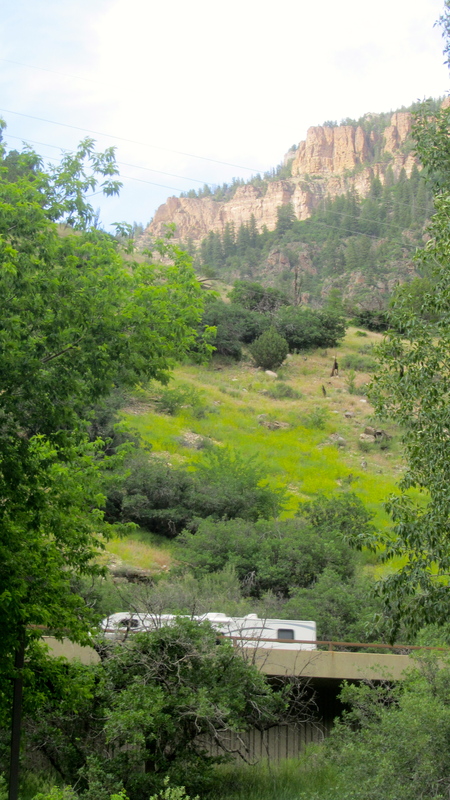 From Golden, Colorado, we drove with our moms to Golden Gate Canyon State Park. The paved road winds through forests and climbs into the mountains. Soapy’s mom saw a moose and a couple deer. This park is so peaceful and relaxing. We stopped at Kriley Pond. Some people were fishing and others hiked around the lake. If you look on the right side of Kriley Pond, our distant cousin, a black duck, is swimming. Our next stop was Slough Pond. Wouldn’t this be a great place for a picnic? Next time our moms will bring food for us. The creek was moving pretty fast. 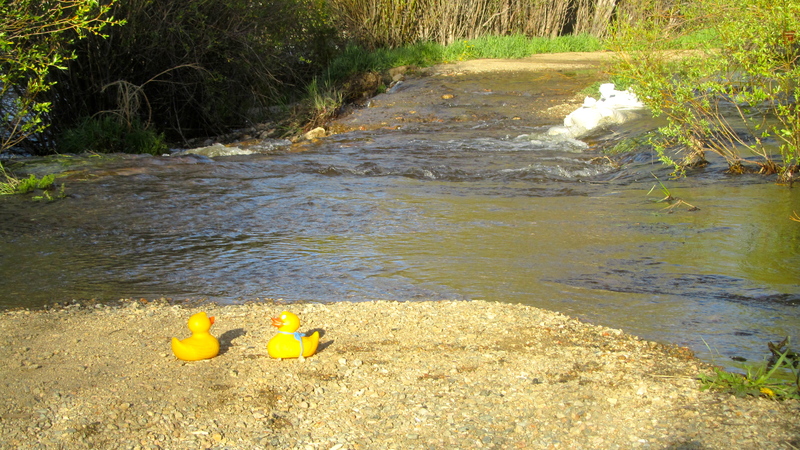 We had a lot of snow this winter and the snowmelt combined with recent rain really has this water moving. Crossing the bridge, you could hike through the forest and mountain. 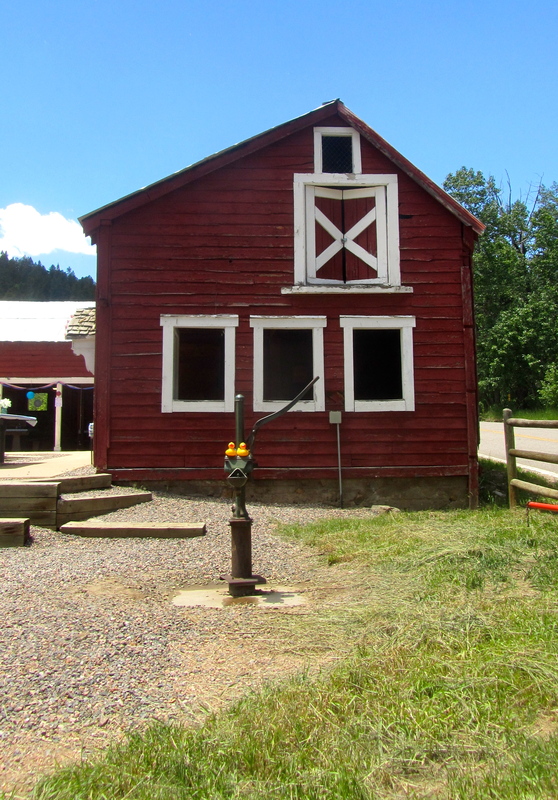 Golden Gate Canyon State Park has this Red Barn. You can rent this area for your group. Our neighbor, and friend, held a wedding here. The newly weds look so happy. 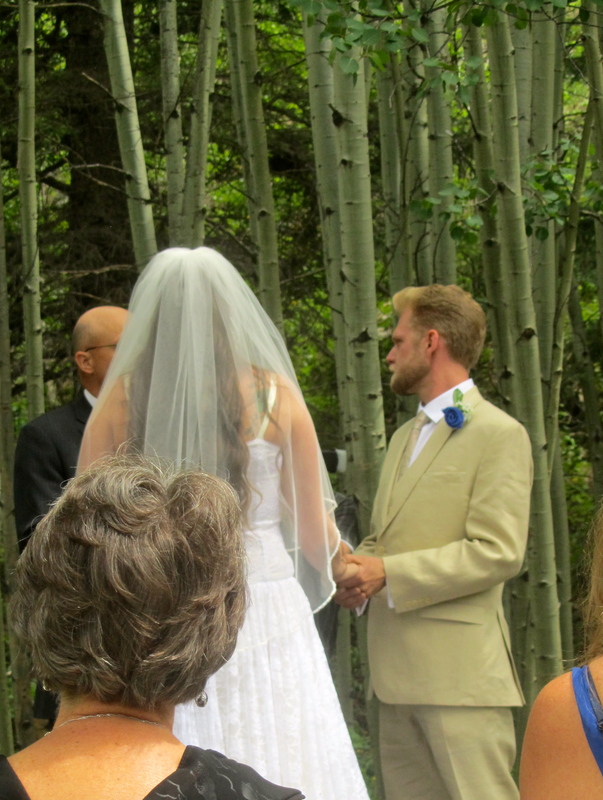 The groom is handsome and the bride is beautiful. We wish them a very happy married life. We needed one more photo of Colorado’s beautiful mountains as we left the Red Barn. 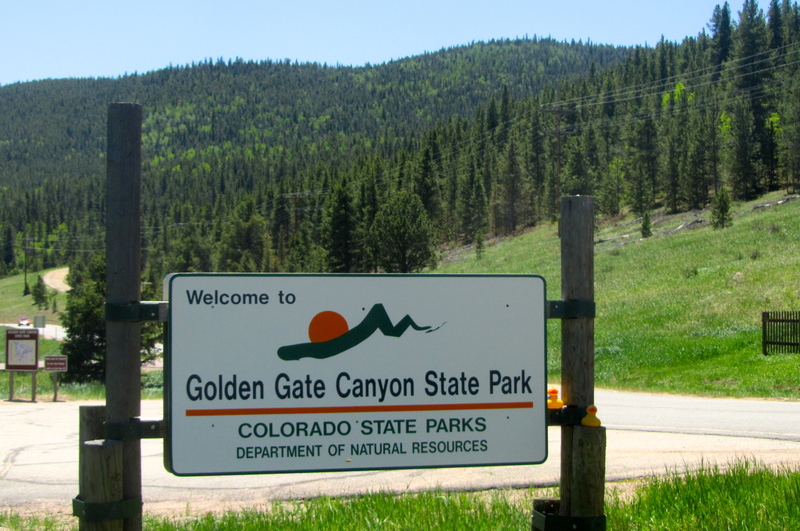 You will love Golden Gate Canyon State Park. 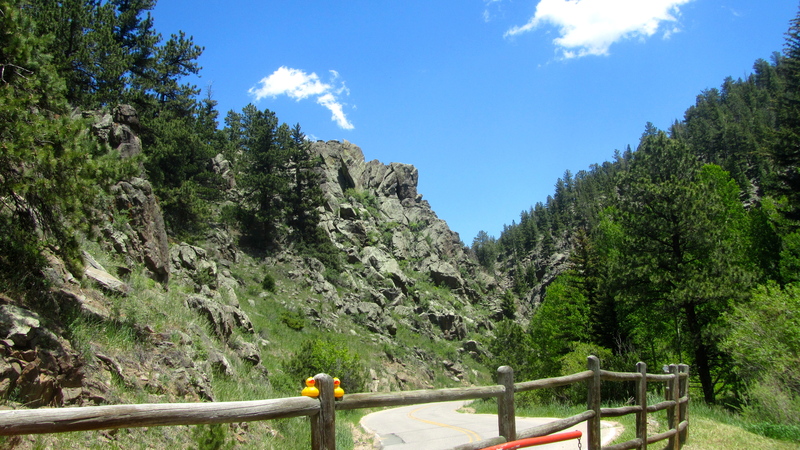 When you are in the Denver area, visit this park near Golden. Our moms say you will feel refreshed and renewed. 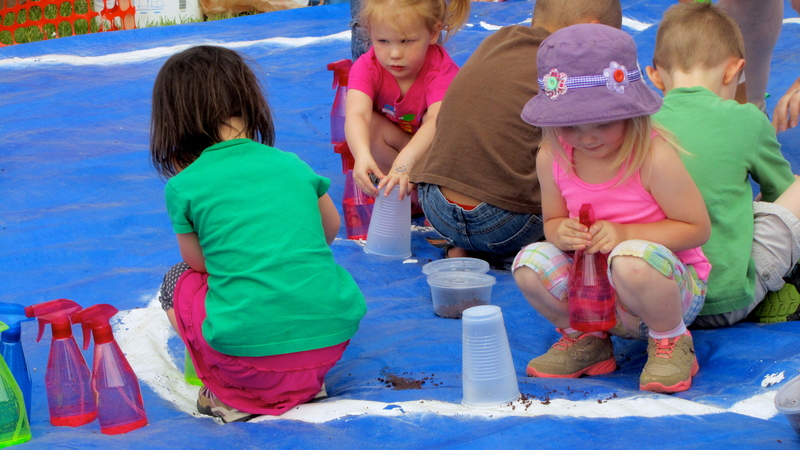 We went to a frog rodeo! 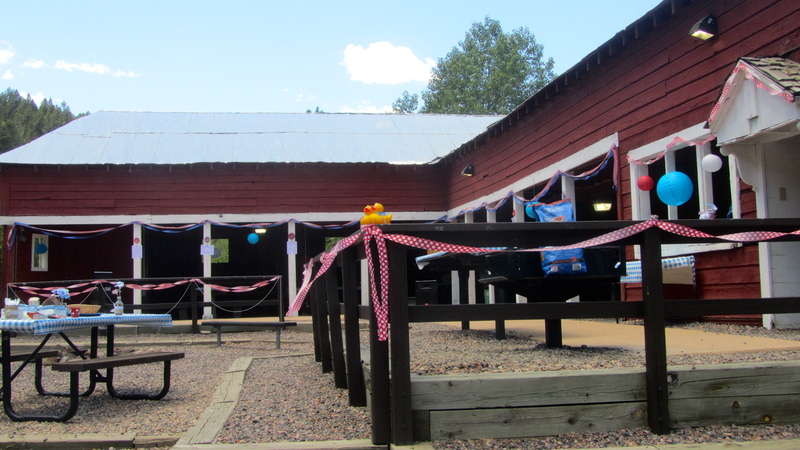 Zeb and Soapy Smith Duck went with their moms to Empire, Colorado Saturday. First stop was here to purchase frog rodeo t-shirts. 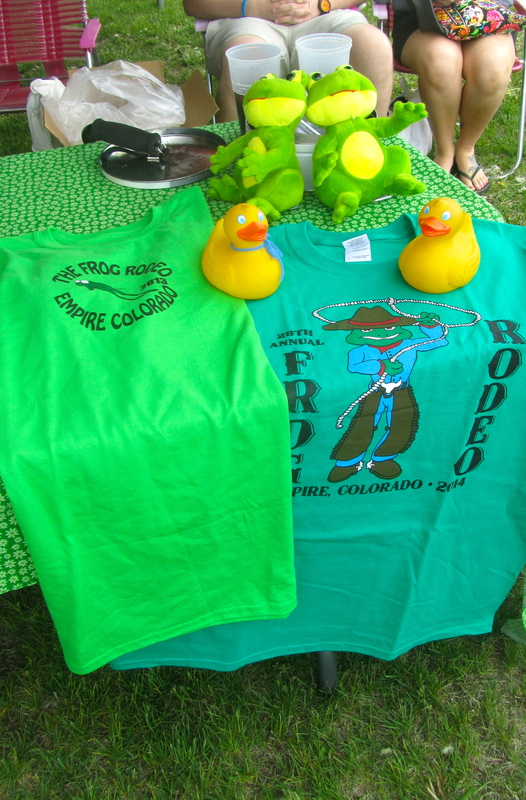 Mom’s shirt says this is the 28th annual Frog Rodeo. 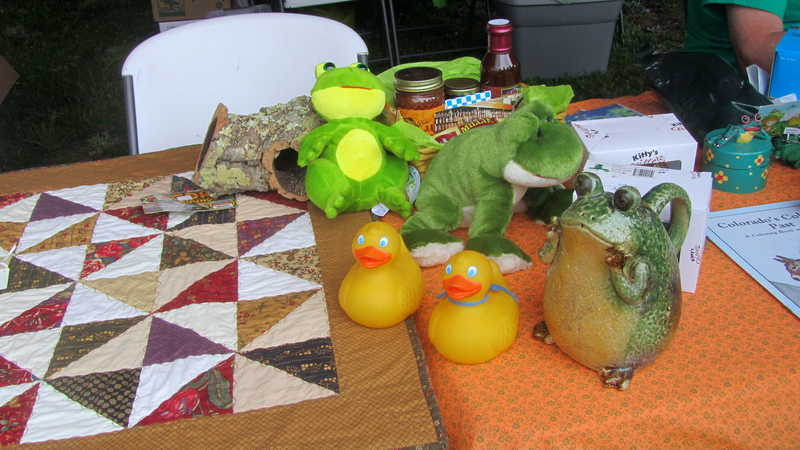 Stuffed frogs were also available. So many possibilities for souvenirs to take home. 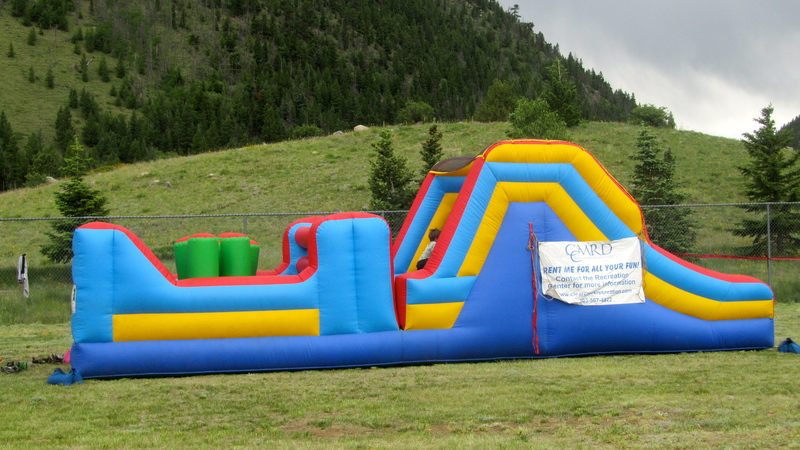 There were games and play areas for kids. Here humans can throw baseballs at the red square on the right. 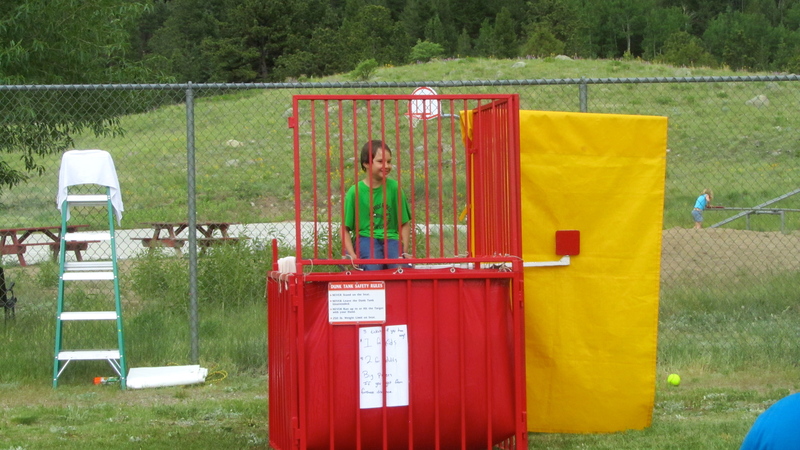 If the red square is hit, the boy on the seat inside will fall into the water. Money goes to a good cause of course. We like these huge bubbles on the water. 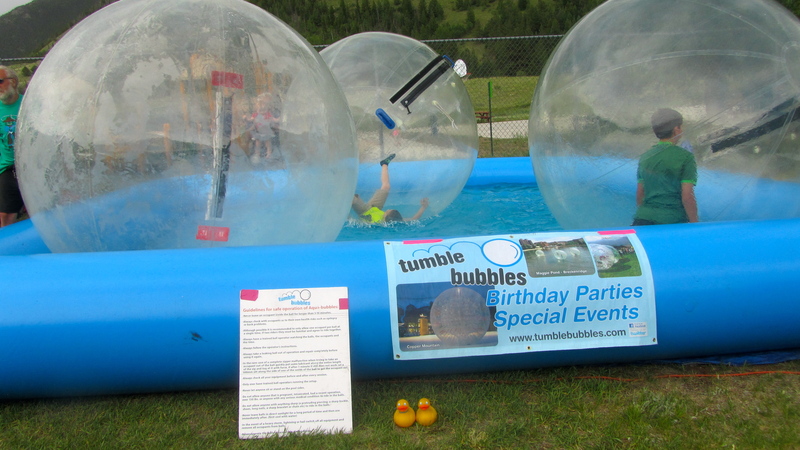 Humans can go inside and try to walk on water. Toss bean bag in mouth and win! and win a prize if bean bag goes in frog’s mouth. 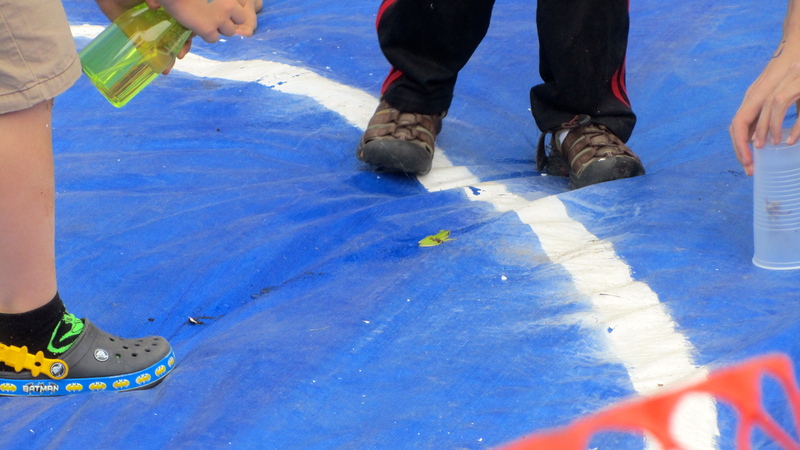 the children may spray water on the frog to encourage frog jumping to the winner circle. The frog is a winner! 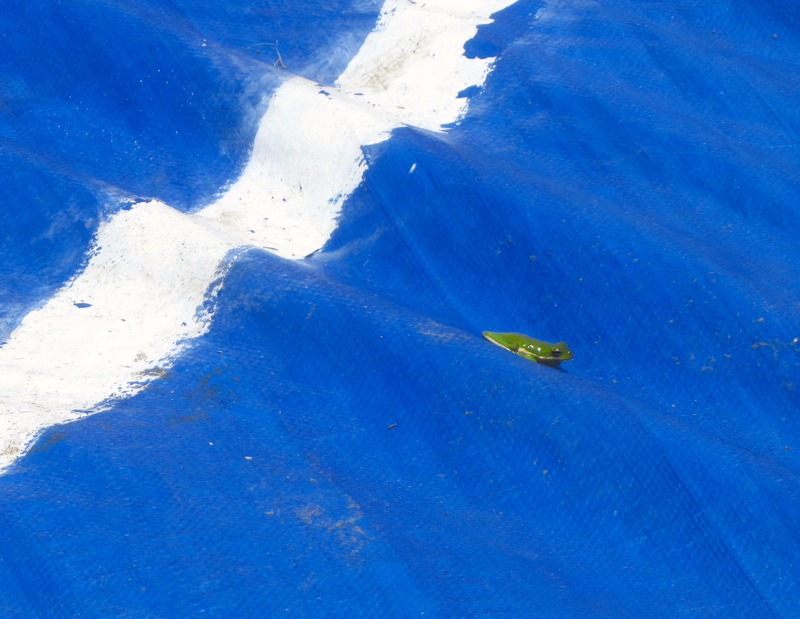 There were several frog races Saturday. This is something we never saw before. 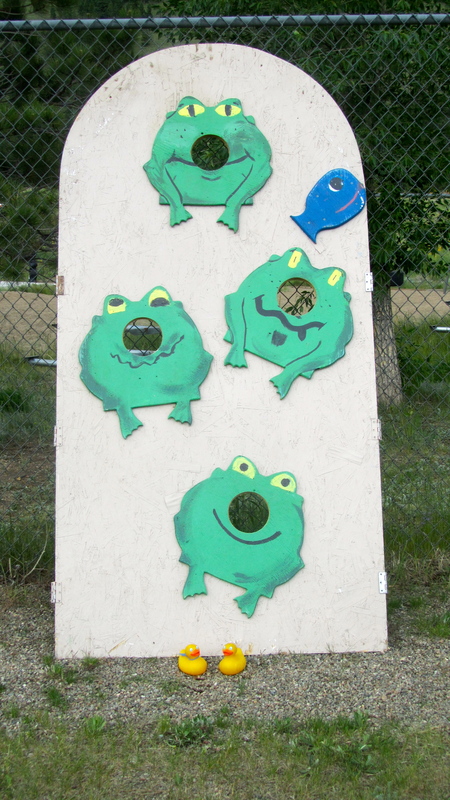 You should attend a frog rodeo near you, or come to Empire, Colorado next year. There is still more. 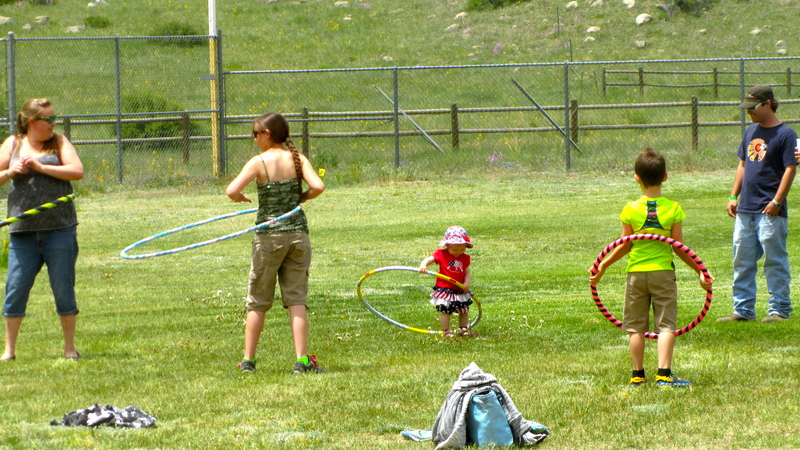 Here humans are using hula-hoops. This was a good day. 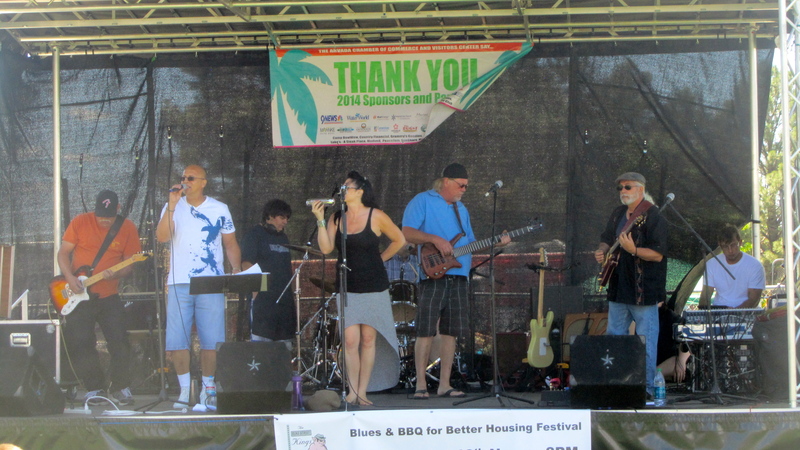 The weather was nice and everybody seemed to have a good time. The bands were good, too. 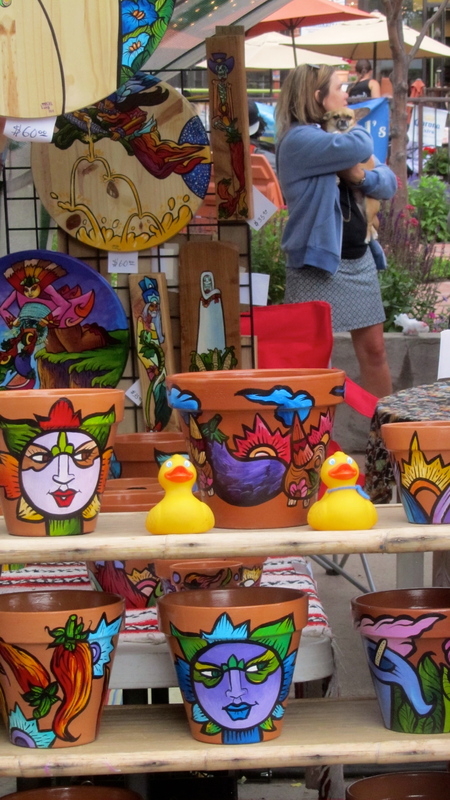 Be sure to visit festivals near you, or come to Colorado and enjoy festivals here. 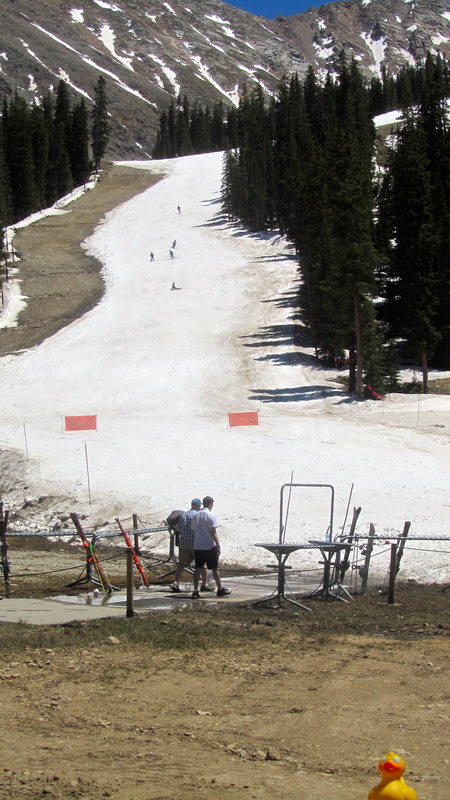 It has been hot in Denver, but skiers and snowboarders are enjoying this last weekend at Arapahoe Basin ski resort. 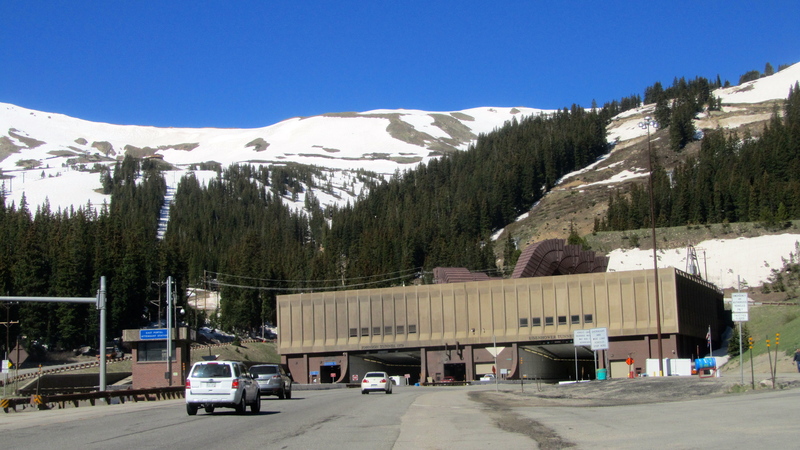 Arapahoe Basin, or A Basin ski resort is near the top of Loveland Pass. 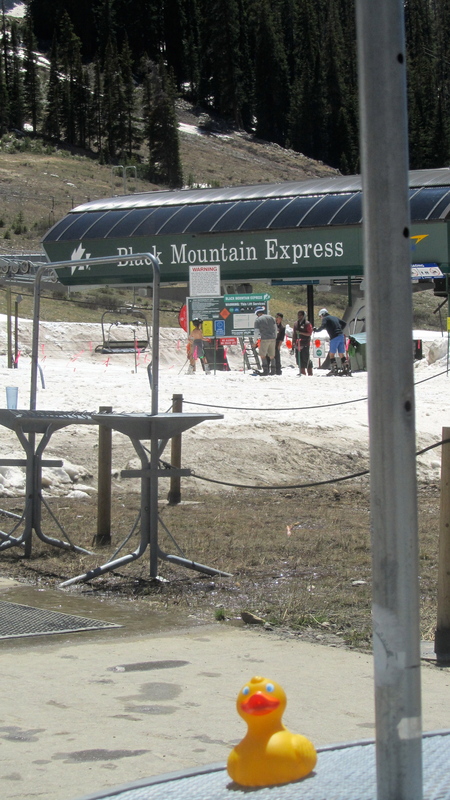 A Basin is open this weekend for skiing and snowboarding. The resort will close on Sunday, so go there to enjoy the last runs of the season. 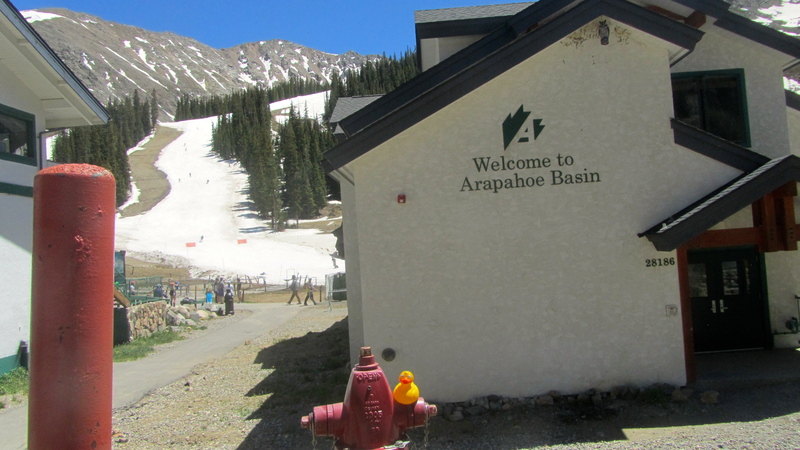 I, Zeb the Duck, went with mom to see the skiers yesterday. They were having so much fun. I liked the chair lift going to the top of the mountain. The skiers and snowboarders were doing a good job and were having a lot of fun. If you are hungry eat here. 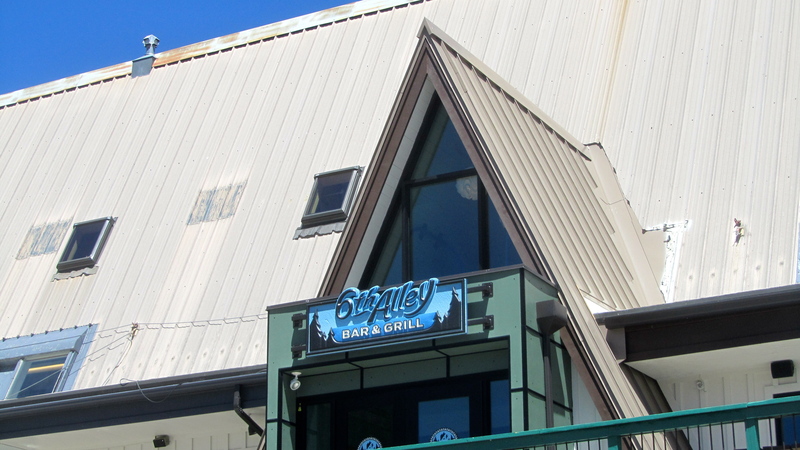 You can enjoy great food and watch the action on the slopes at 6th Alley Bar and Grill. 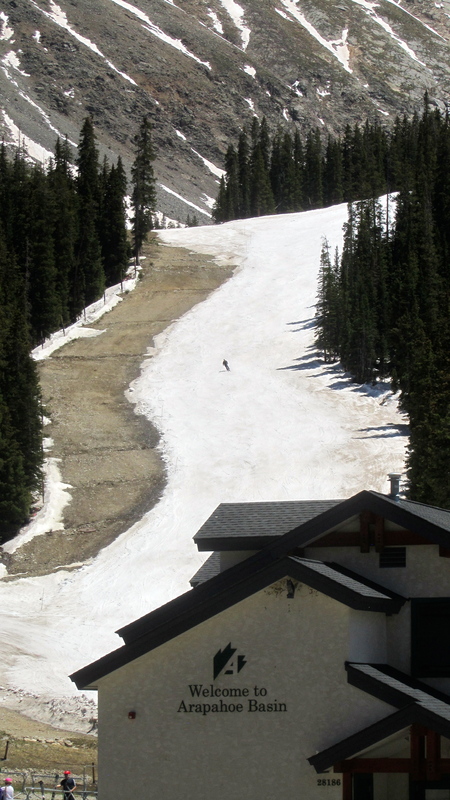 A Basin is Colorado’s last open ski area, so hurry to A Basin and enjoy one more run on the slopes. The weather was warm and the blue sky was gorgeous. 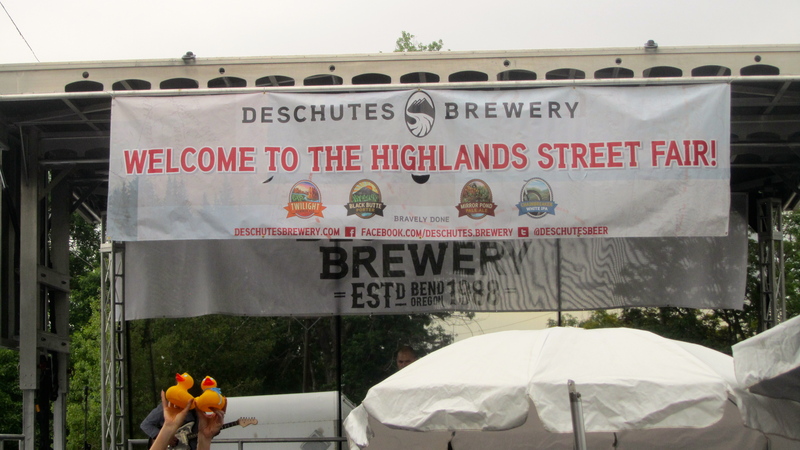 Zeb the Duck and Soapy Smith Duck went to a street fair. 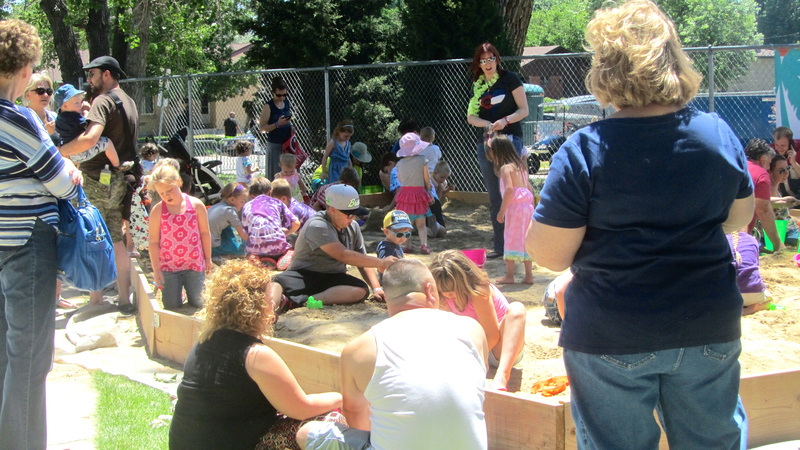 Our moms took us to the Highland neighborhood in Denver and we loved it. The weather was perfect and we want to show you what we saw. 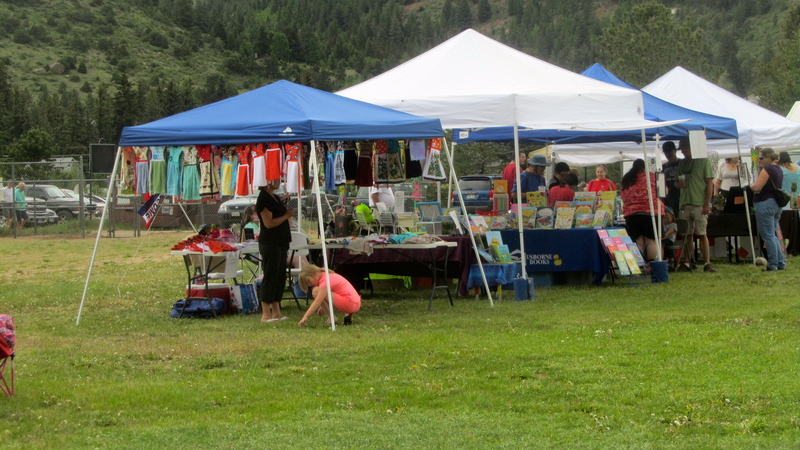 over 150 showing clothing, art and accessories. 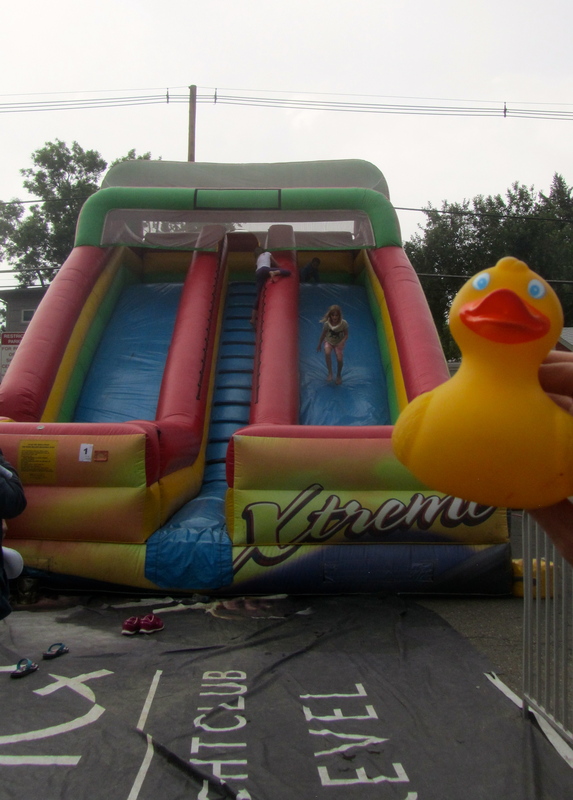 There was a special section for rides, slides and fun for all ages. 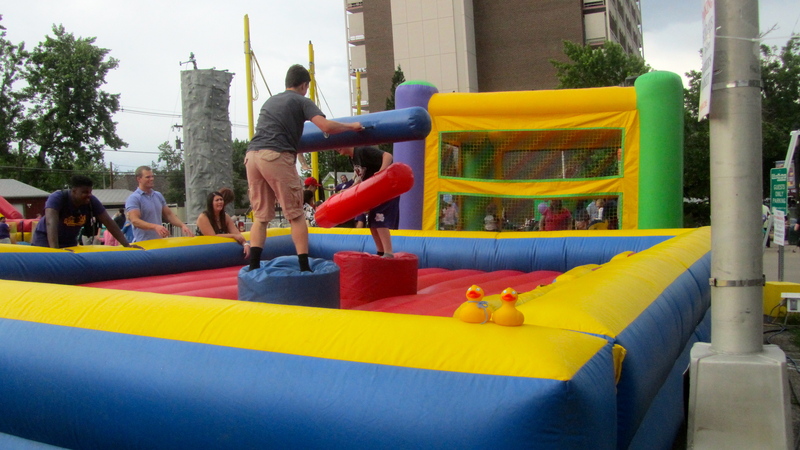 Here big kids and adults could safely battle each other. Kids could fly high here. The slide looks like fun, too. 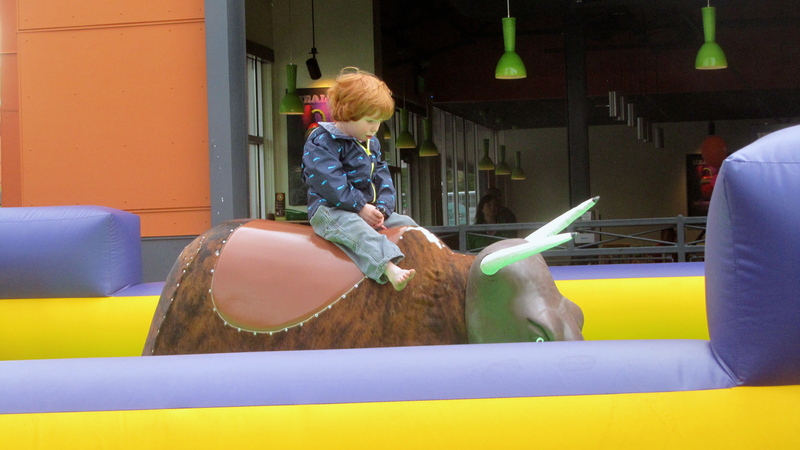 We had never seen this mechanical bull for all ages before. Looks great! 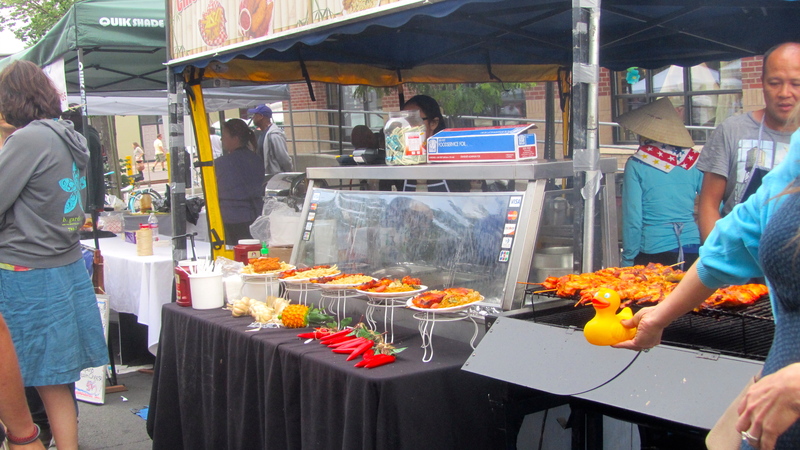 There were many places to eat. 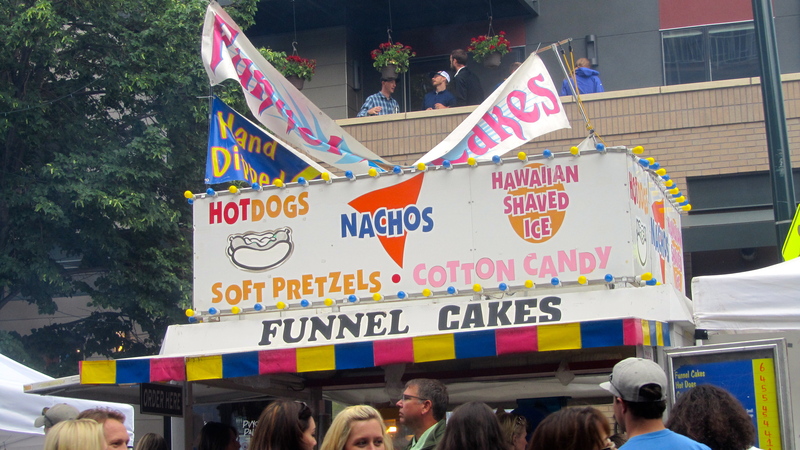 You may remember we love funnel cakes. Look at all this food. It looks so pretty and makes us hungry. 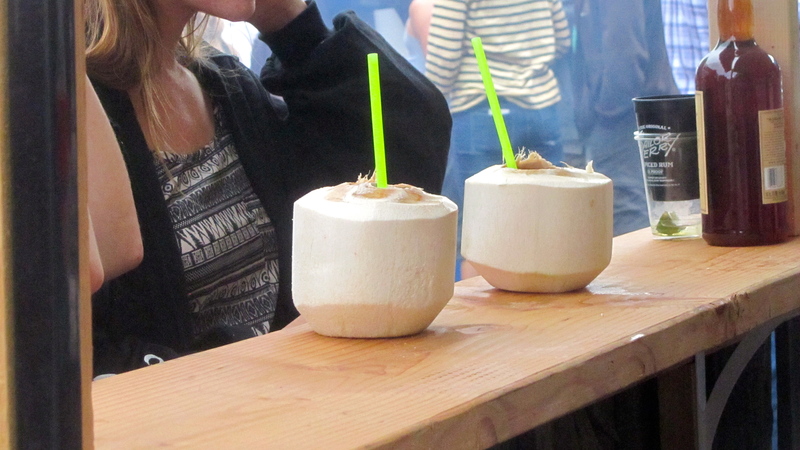 Drinks in coconuts seem refreshing. 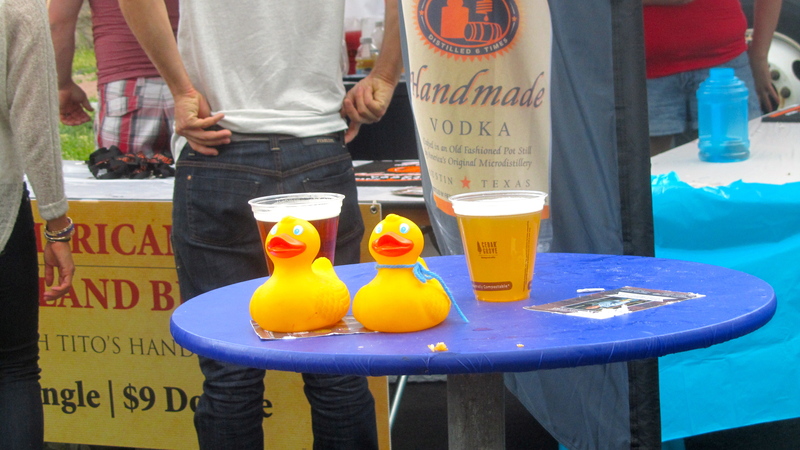 We posed for beer photos, but ducks do not drink beer. Great for summer flowers. So many colorful bags to admire here. 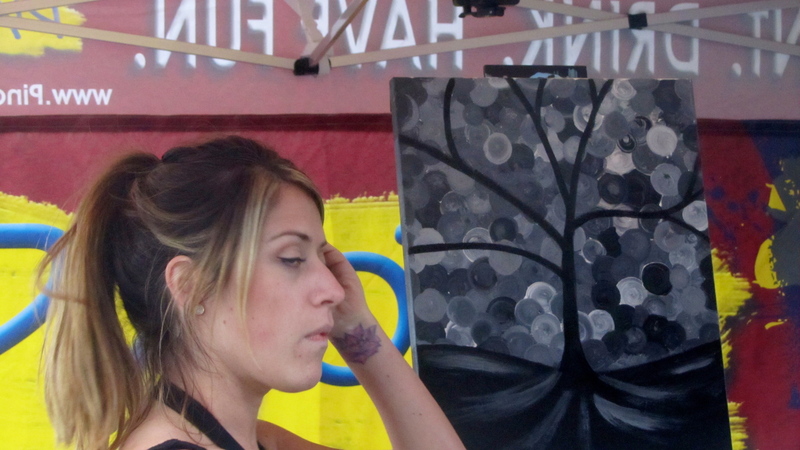 This lady is the artist and she just finished this picture. Wow! She did this piece of art while we watched! She could produce this while so many people watched her. 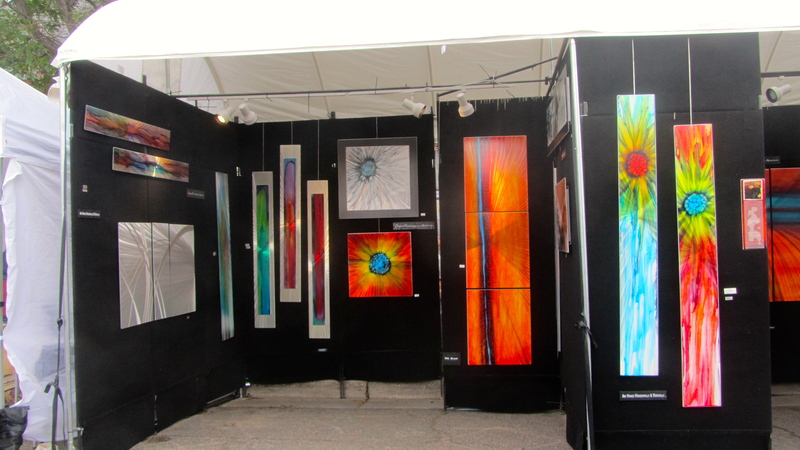 This booth features so many bright paintings. 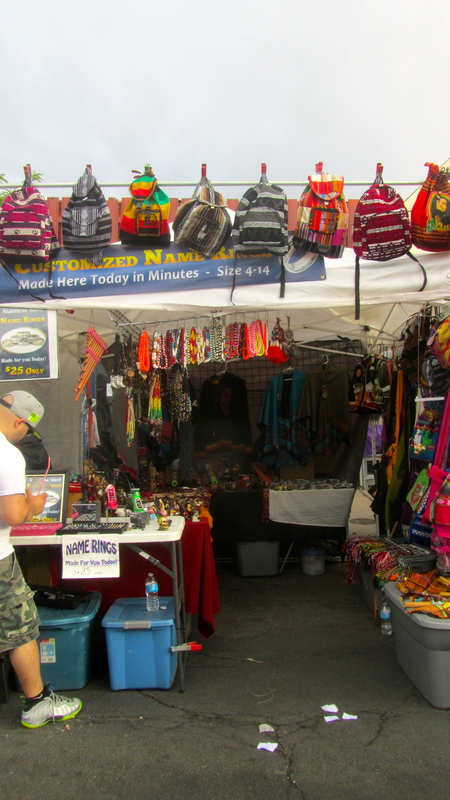 You would love all the colors at this street fair. You could even get an airbrush tattoo today. 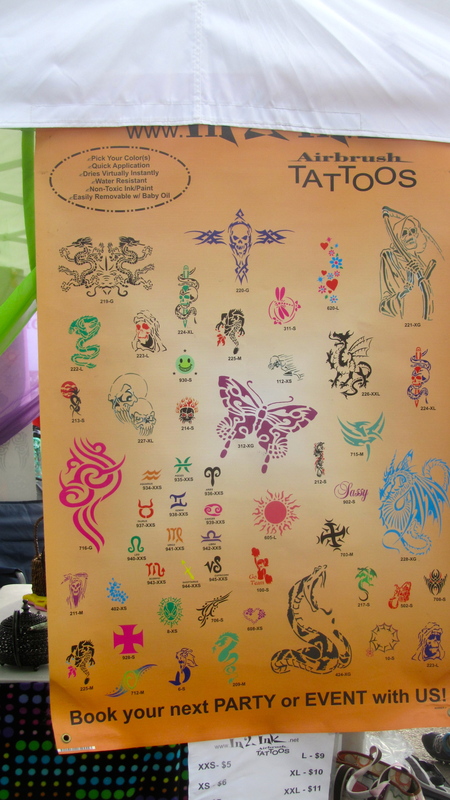 Airbrush tattoos Which is your favorite? 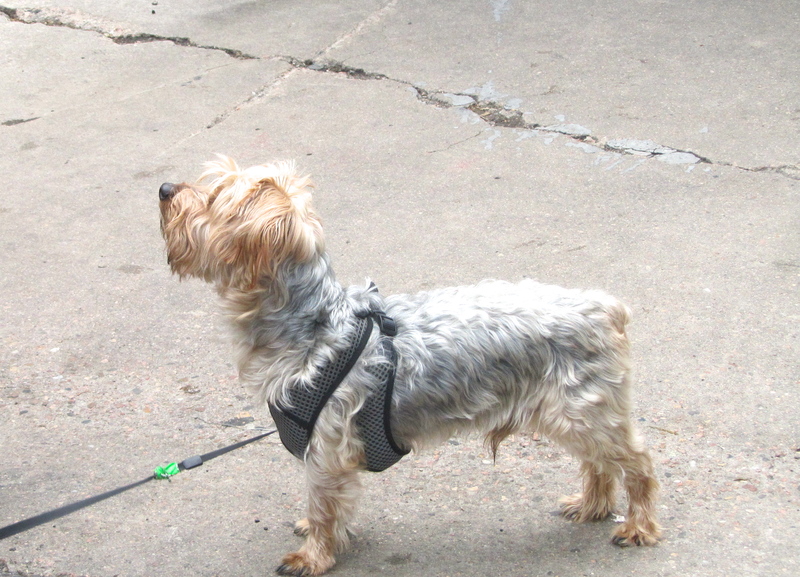 The street fair is great for people, but dogs like it here also. As we walked back to our car, we passed this garden. You would love it here. 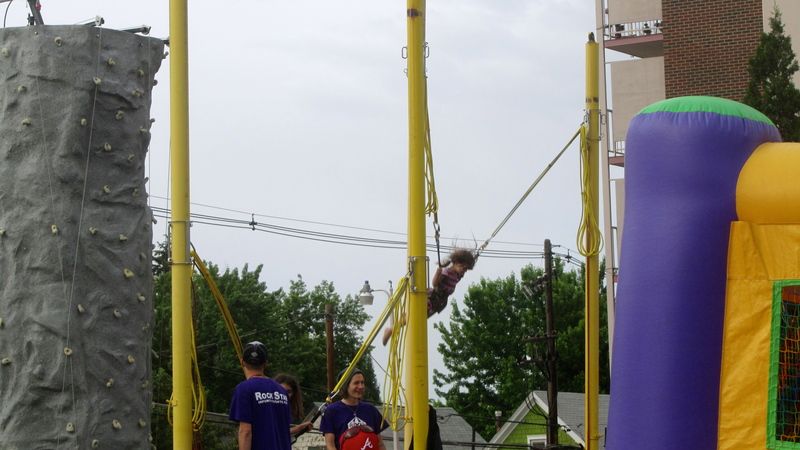 A great street fair and this is a real neighborhood. 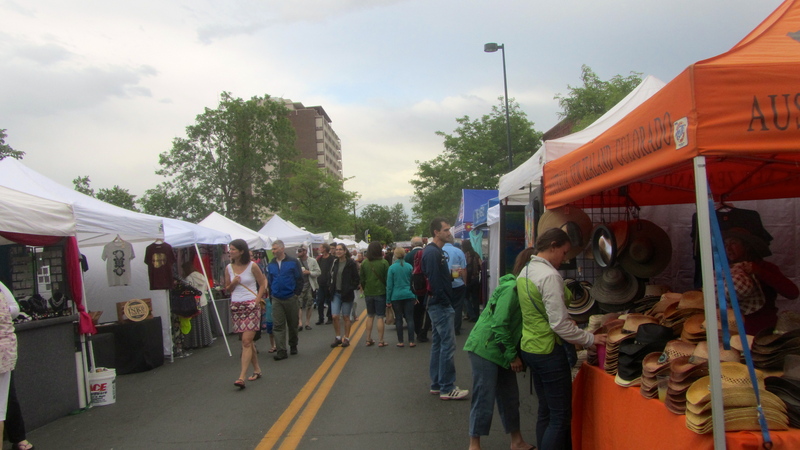 You will enjoy festivals and street fairs this summer. Try to visit some and you will have a great day. 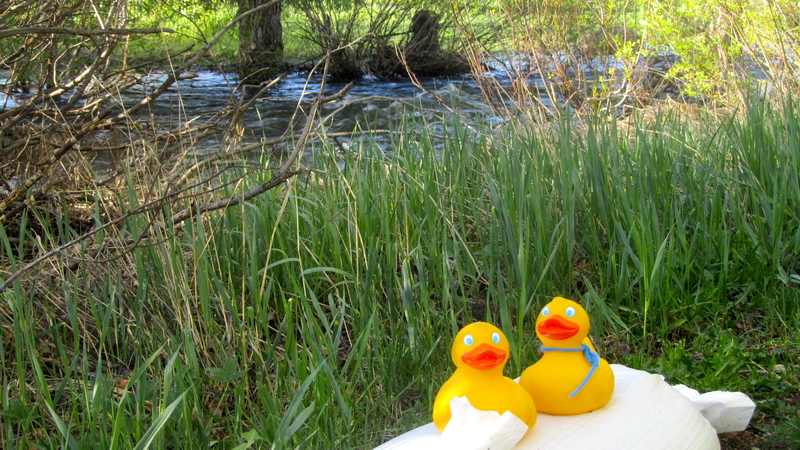 Zeb and Soapy Smith Duck spent a few days in Winter Park, Colorado. 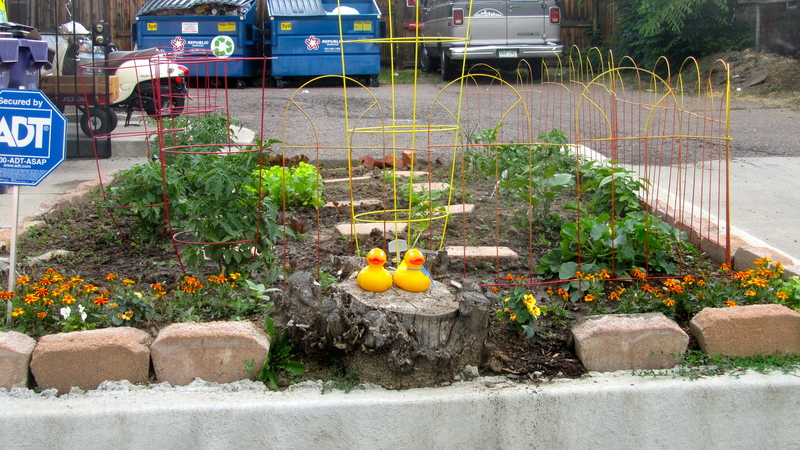 You might remember that last summer, Zeb, Soapy, and JB Duck and three generations of humans became a family. Last year we hiked along the Fraser River. That is where our picture at the top of this page was taken. This year was different. Things had flooded. 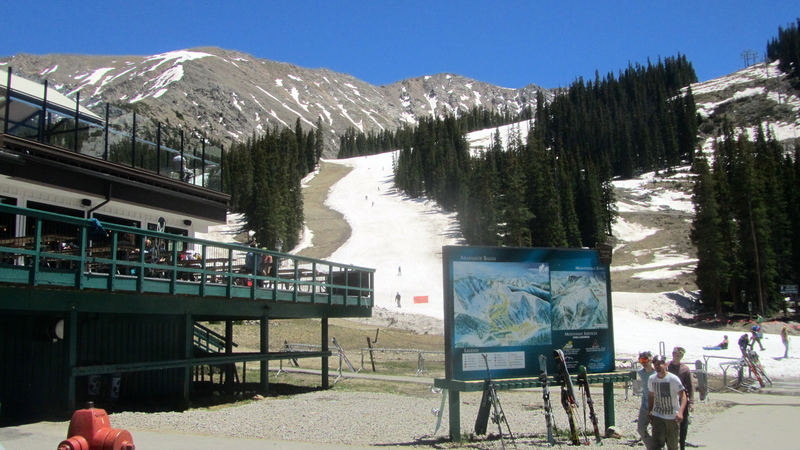 Winter Park is a ski and snowboard area. They had so much snow this winter. So much fun for skiing, snowboarding and all winter sports. part of it washed out by the flooding. We came in another way, but there was a lot of water damage. This is the path we always took along the Fraser River. You can see part of the path has washed out. 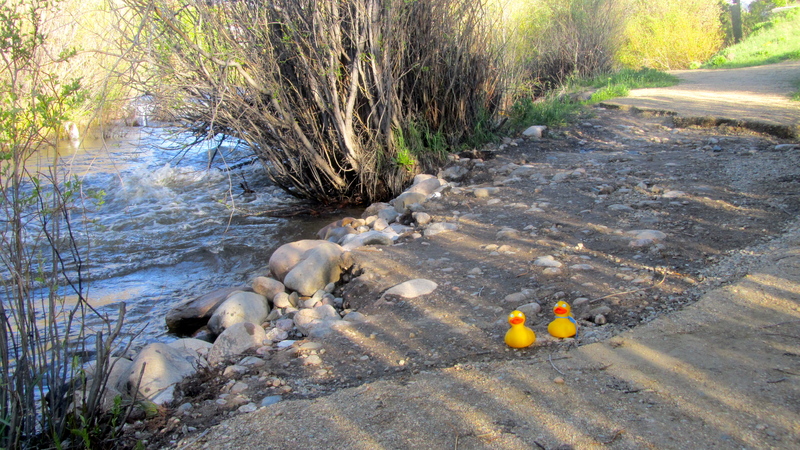 We could not walk on this part of the trail; the flood water was too fast. Here Zeb and Soapy are sitting on sand bags. Those trees do not belong in the river, just near it. 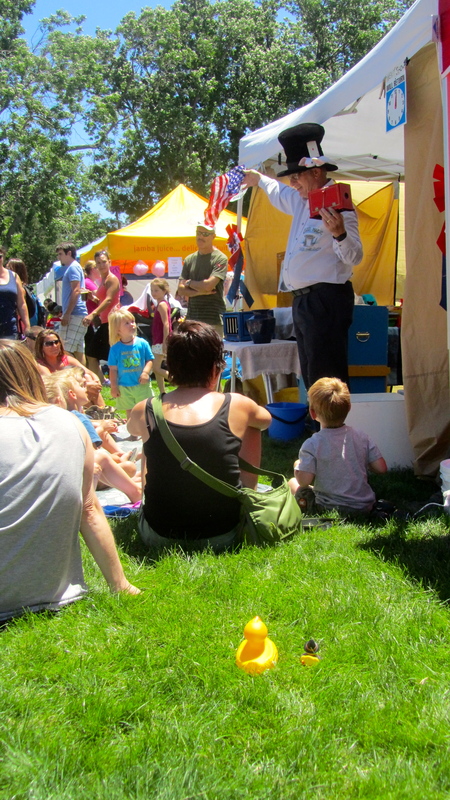 We did have fun this year; so do visit Winter Park and Fraser. 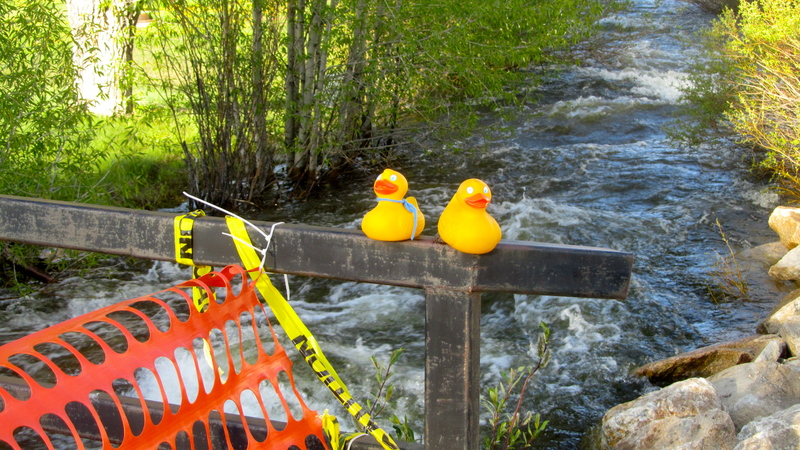 The water is receding, and all the summer activities will open today or in a few days. You will have a great vacation there, but do be careful near the water. It is high and fast now. Be safe in Winter Park and wherever you go. We will go back this summer and we hope to see you there.